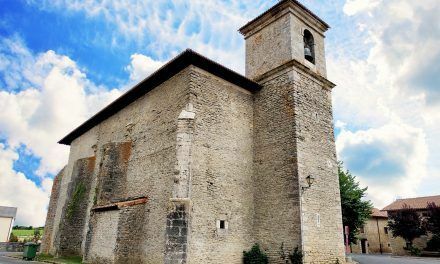 On the edge of the Camino de Santiago in Álava while passing through Gazeo is the church of Saint Martin of Tours. Its advocation of Xacobean resonances reminds us of the thousands of pilgrims who have contemplated its walls over the centuries. 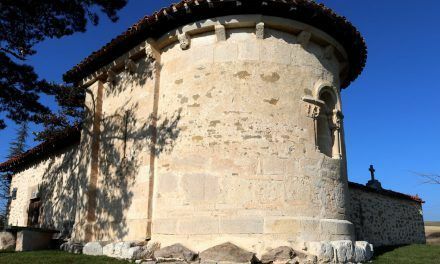 Its semicircular apse reveals its Romanesque origin, even though the transformations suffered throughout time have distorted its primitive appearance. Nevertheless, its sober exterior hides one of the most fascinating Gothic pictorial sets that have been discovered in the Basque Country to date. 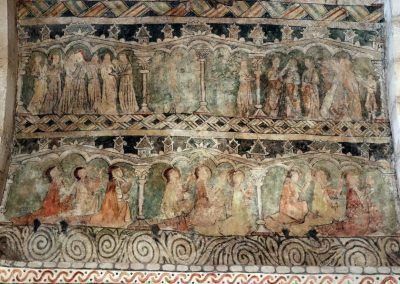 Designed in linear Gothic style, these polychromies fill the basin of the apse and expand through the side walls and vaults of the presbytery, showing an iconographic programme of great richness and quality. 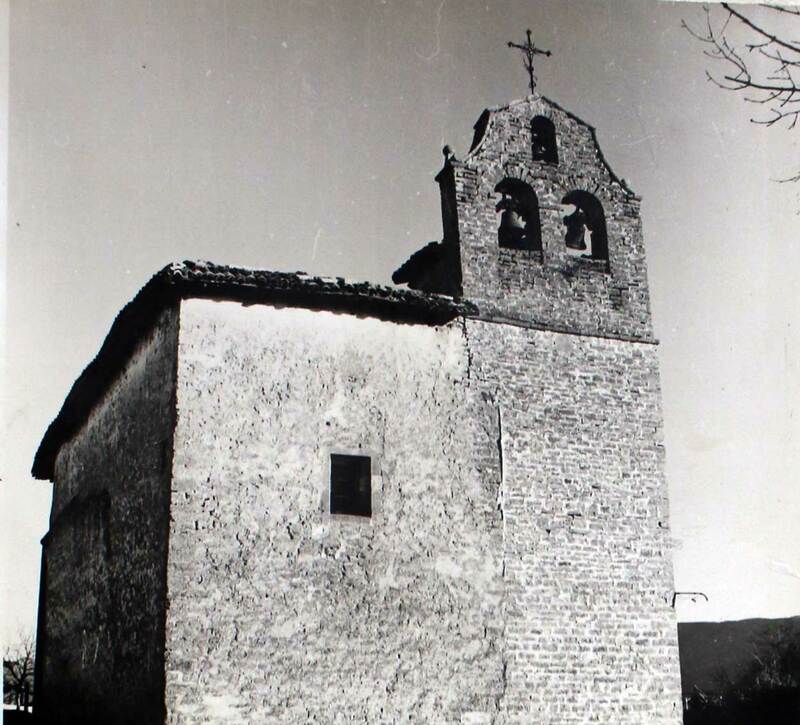 On the 7th of September of 1967, the parish priest of the church of Gazeo, Juan José Lecuona, accompanied by Rafael de Eulate y Alós, decided to inspect several temples of the Alavese Plains in search of valuable art pieces. With the help of a ladder, both of them climbed the baroque altarpiece that once covered the apse of the Romanesque church of Gazeo. 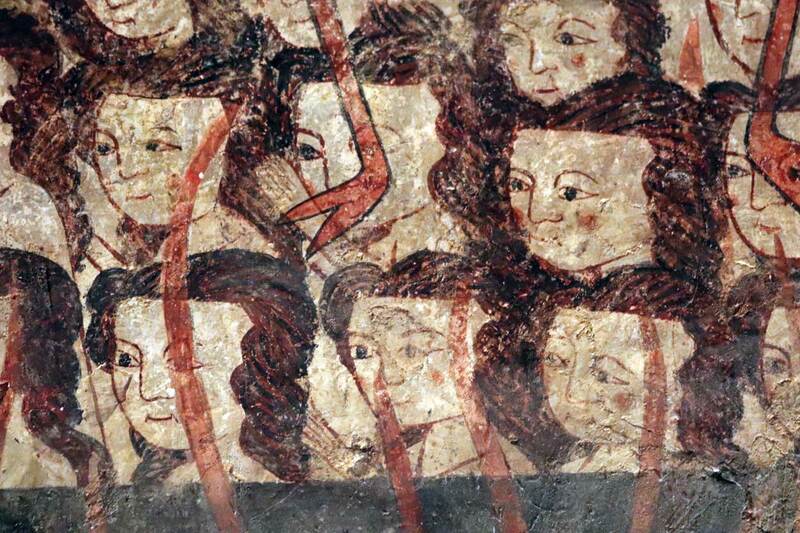 Behind, they could glimpse the fabulous Gothic paintings that are now brought to light. 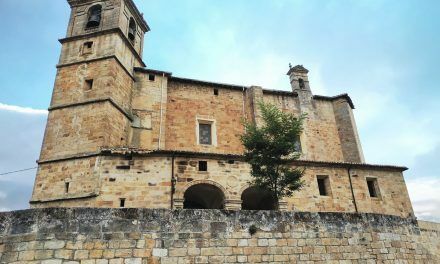 The next day the finding was brought to the attention of the diocese, the Provincial Council of Álava and the restorer of the Prado Museum, who went to Gazeo to see the discovery first-hand. 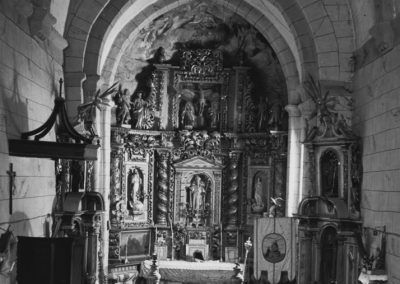 Subsequently, José Gudiol, Director of the Amatller Institute of Hispanic Art of Barcelona, made a report recommending the removal of the altarpiece to expose the paintings on the apse and the immediate start of restoration work. 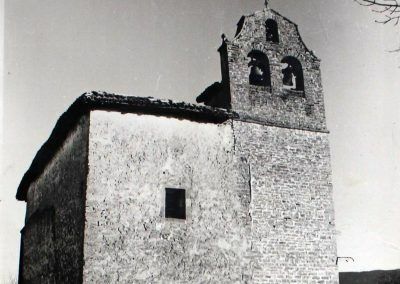 The photographs of the 20th century recovered from the archive show us a very different Gazeo church, with add-ons from other eras that tell us about its evolution over the centuries. The aggressive restorations to which it was subjected a few decades ago completely modified the structure of the temple. 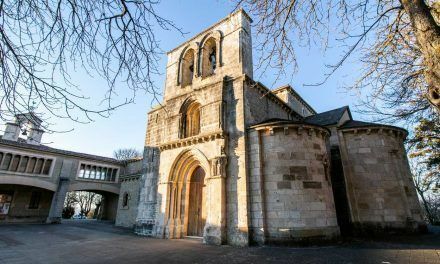 Even during the restoration work, some of the Romanesque parts that had barely reached our days were rebuilt, such as the facade and the south-facing window of the apse. 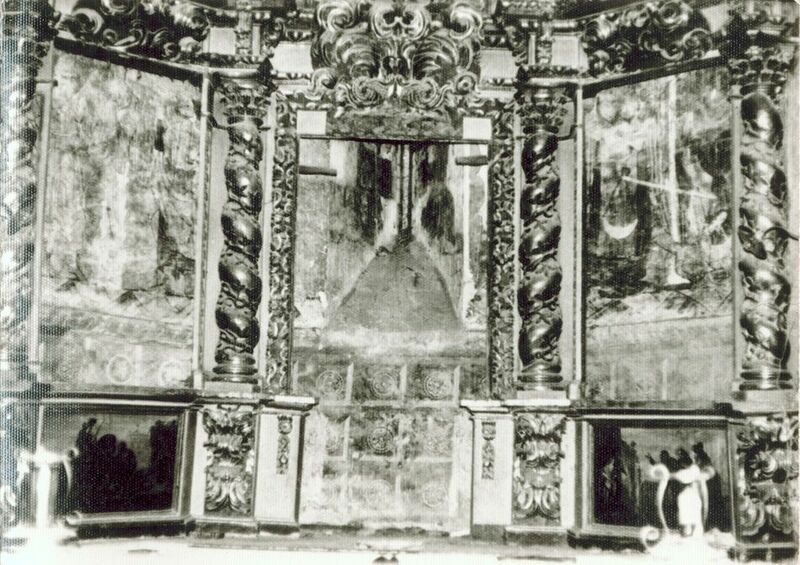 1- Photograph of the moment of the appearance of the paintings behind the altarpiece. Archive of the Historical Territory of Álava. 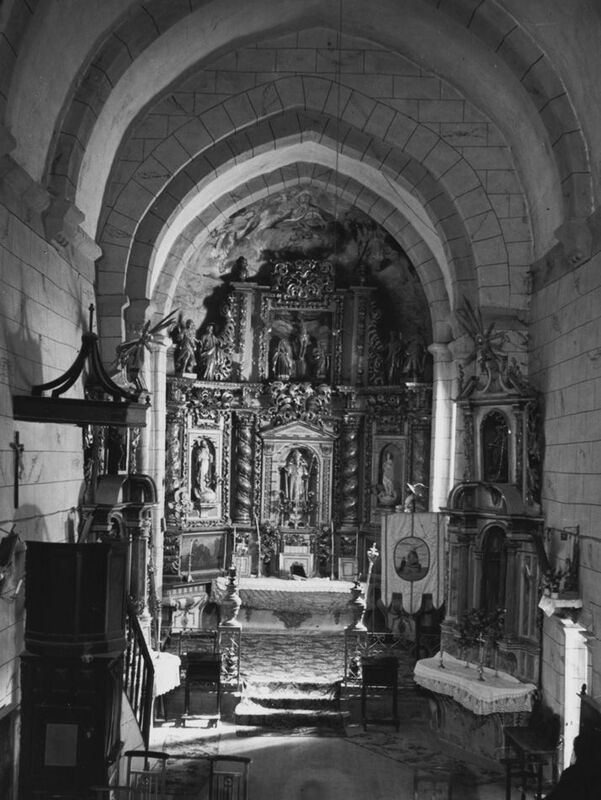 2-Photograph of the inside showing the baroque altarpiece. Archive of the Historical Territory of Álava. 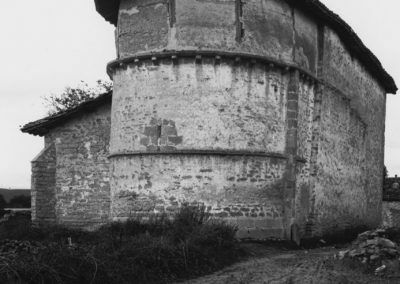 3- Outside view before restoration. 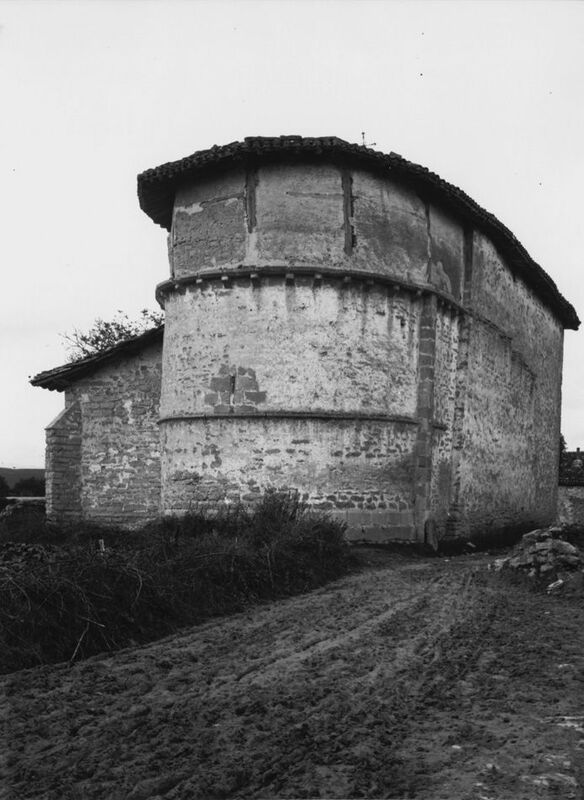 Apse. Gerardo López de Guereñu’s photo. 4- Outside view before restoration. Western side. Juan José Lacuona. 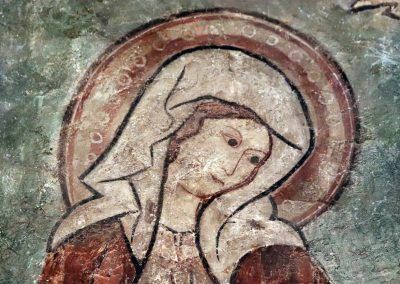 Gazeo’s paintings represent an entire geography of the medieval Christian afterlife, as it was conceived in the 14th century. 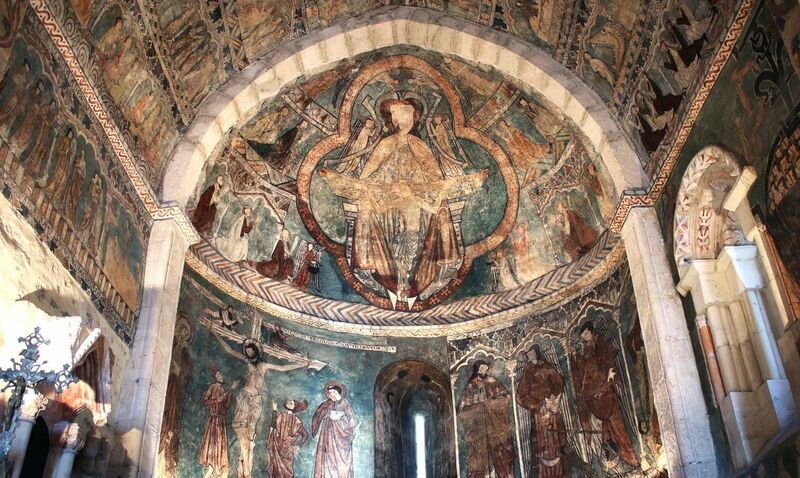 On the basin of the apse a large-sized Throne of Grace is shown, formed by the Trinitarian figures of the Father, the crucified Son and the Holy Spirit in the form of a dove. Around, a whole series of choirs of angels, virgins and saints contemplate them on their knees in perpetual adoration. The Beatific Vision, the contemplation of God the Father’s face, was the end of the path of the Christian afterlife, the recovery of the Paradise Lost. 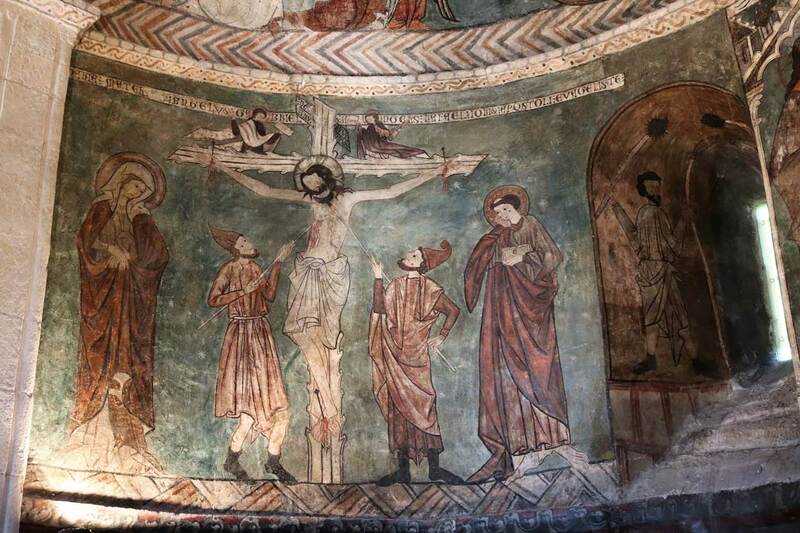 The lower strip of the apse is divided into several scenes, among which we can distinguish, on the left, a Calvary with a crucified Christ surrounded by the figures of Mary and Saint John the Evangelist. 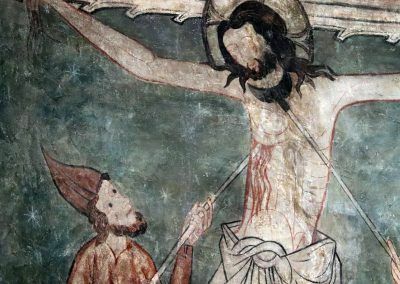 We also find Longinus, spearing the Crucified’s side, while Stephaton brings the sponge soaked in vinegar to his lips. This entire scene makes reference to the possibility of redemption of mankind thanks to the sacrifice of Christ on the Cross, whose death brings eternal life to human beings and the above represented access to Paradise. 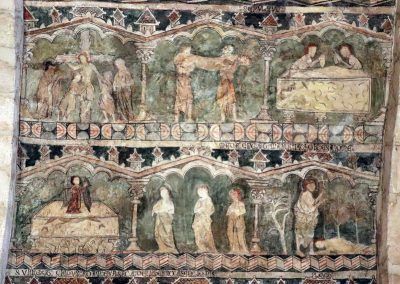 On the right-hand side we find the journey that the souls of the deceased must follow until they achieve the Beatific Vision that is shown on the basin of the apse. 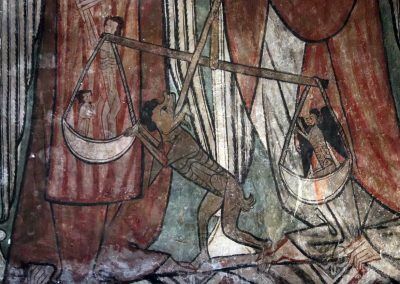 First they need to go through Saint Michael the Archangel’s weighing of souls, who is portrayed fighting the devil for the salvation of souls. Those who have overcome this trial are picked up by an angel who crowns them and leads them to the Bosom of Abraham, who in this case looks similar to the figure of Christ. Beside Saint Michael, Saint Marina contributes to the battle of good versus evil, as she stands victorious over a chained demon that lies beneath her feet. 1- Miracles of Christ in life and worshippers on the lower side. 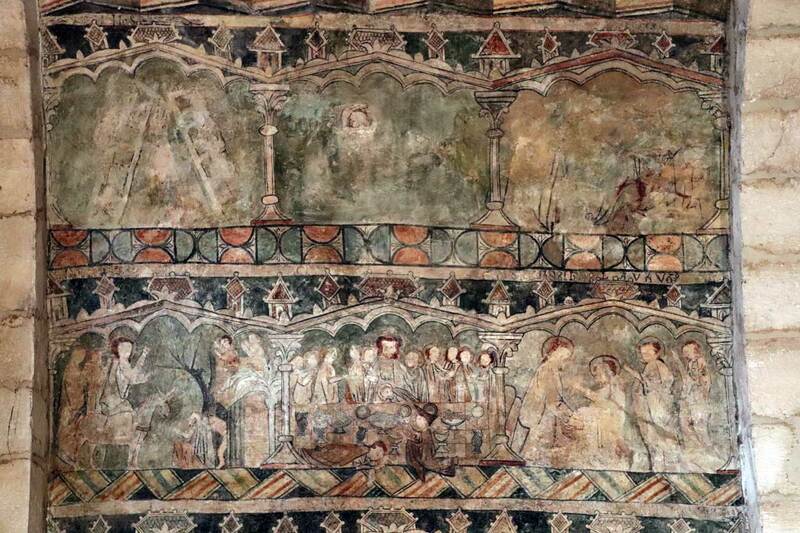 2- Entry of Christ into Jerusalem, Last Supper, Washing of the Feet and Crucifixion. 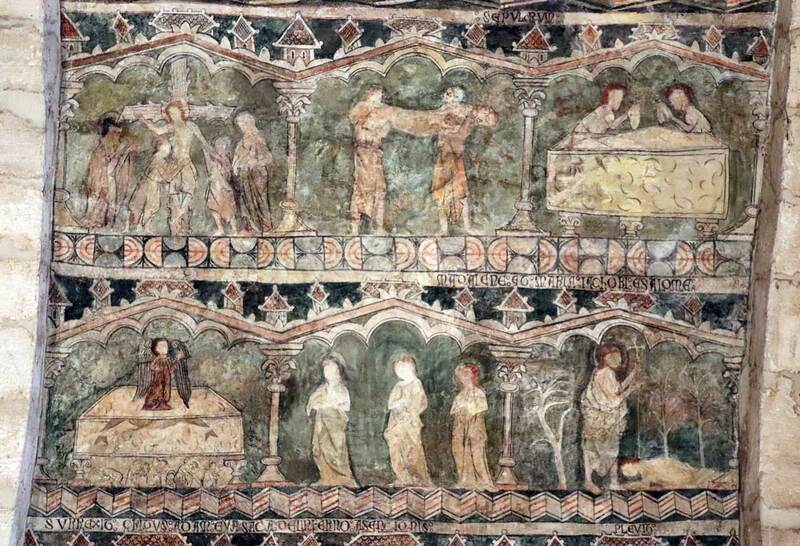 3- Descent, Burial, Arrival of the Three Marys and Encounter with the Magdalene. 4- Harrowing of Hell, Ascension and Pentecost. 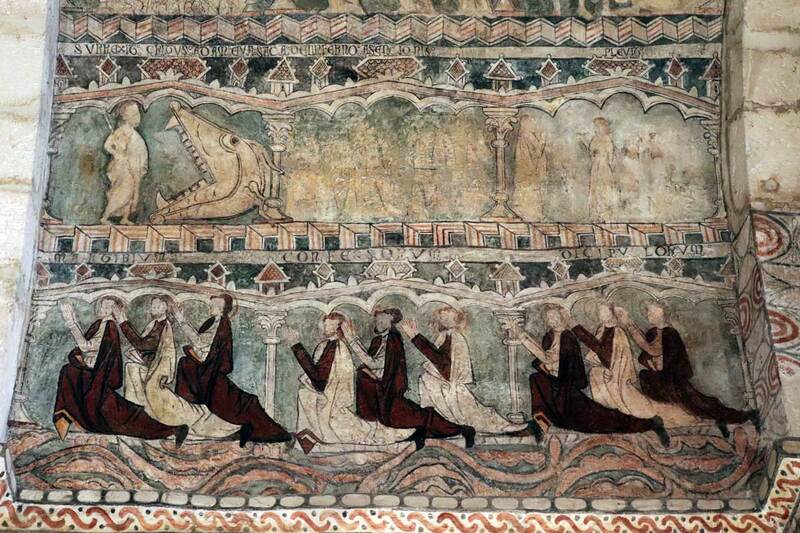 Worshippers on the lower side. 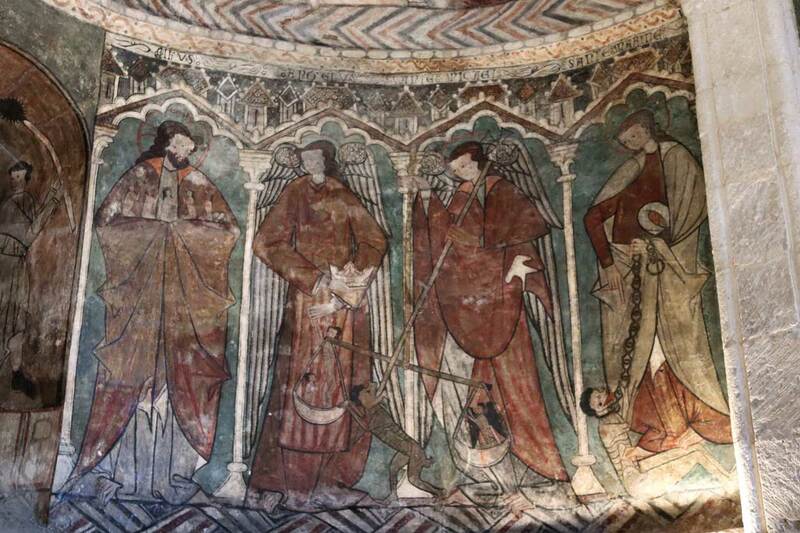 It is precisely this holy figure that connects us with the underworld, the Hell opposed to the Paradise represented in the apse. 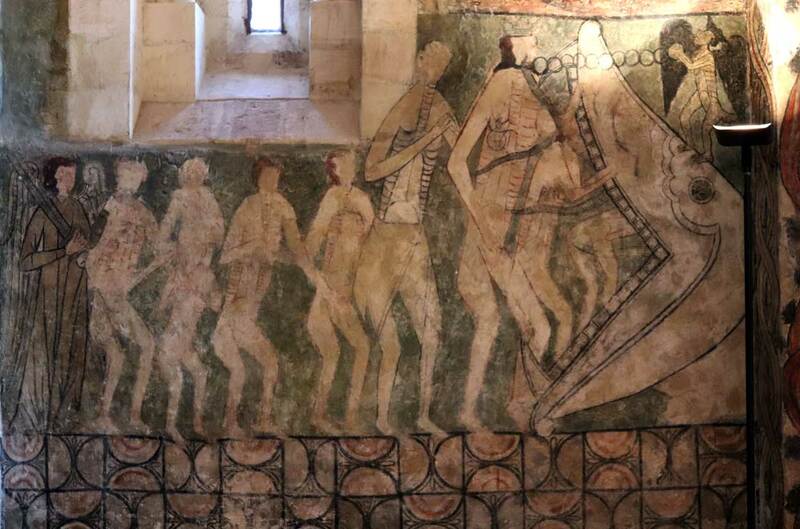 It can be found on the right wall of the presbytery, with the open jaws of the Leviathan receiving the damned. In the meanwhile, above, the bubbling cauldron of Pedro Botero boils the souls of the sinners that some demons throw inside. 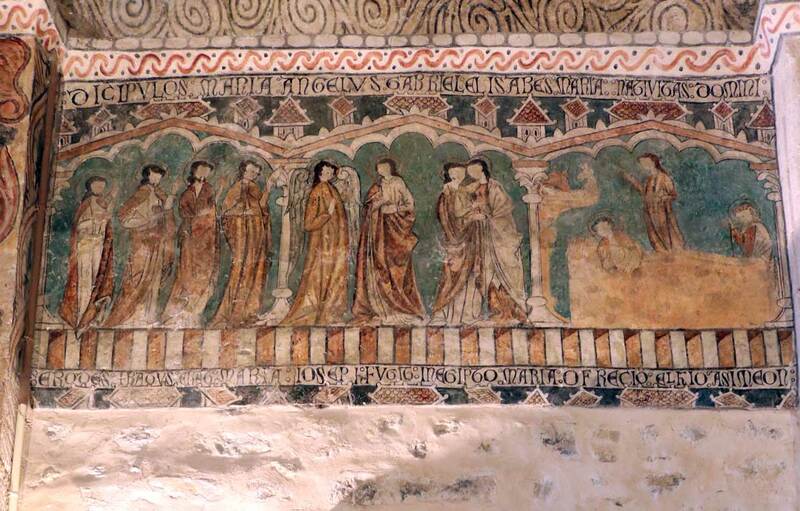 The vaults of the presbytery also hold paintings of smaller size, where scenes of the life of Christ are represented. 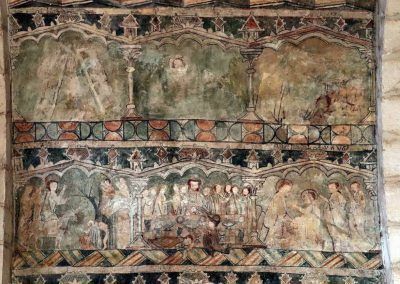 Among them, we can distinguish the cycle of his childhood, his adult life in which he preaches and performs some miracles, and finally the Passion and subsequent Resurrection, highlighting above all the Last Supper, full of interesting details. 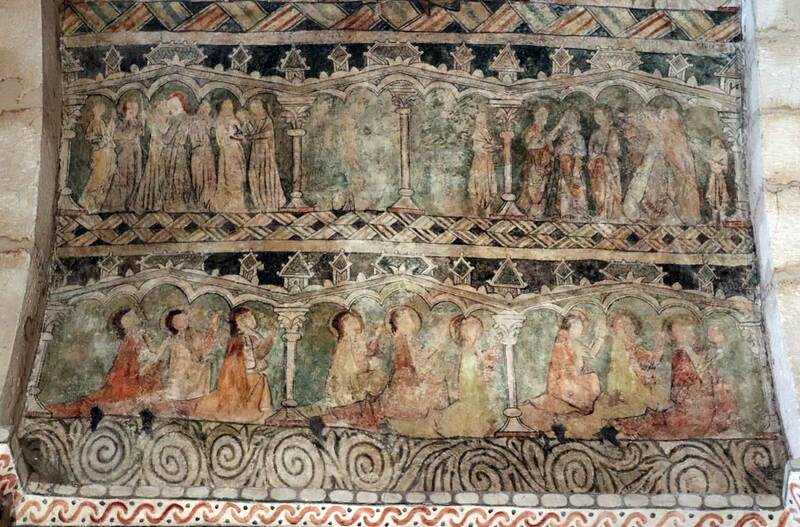 The rest of the nave of the church is bare nowadays, even if it must have also been polychrome, due to some small fragments that appeared during the restorations. 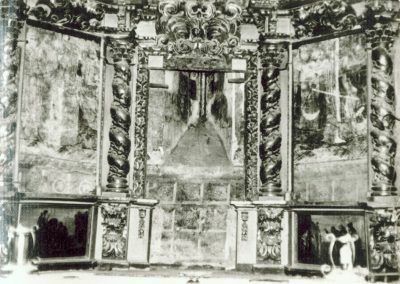 In its place, we can see the sculptural remains of the old baroque altarpiece that hid the apse paintings until the 1960s, when it was removed and dismembered. 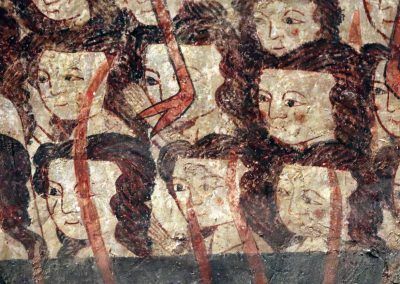 Entry of the Damned into Hell. 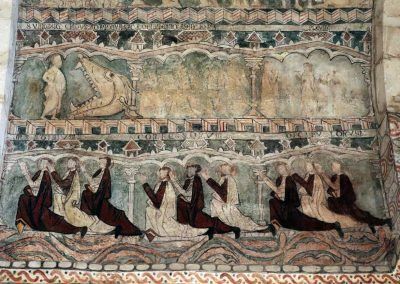 Four Disciples, Annunciation, Visitation and Nativity of Jesus. 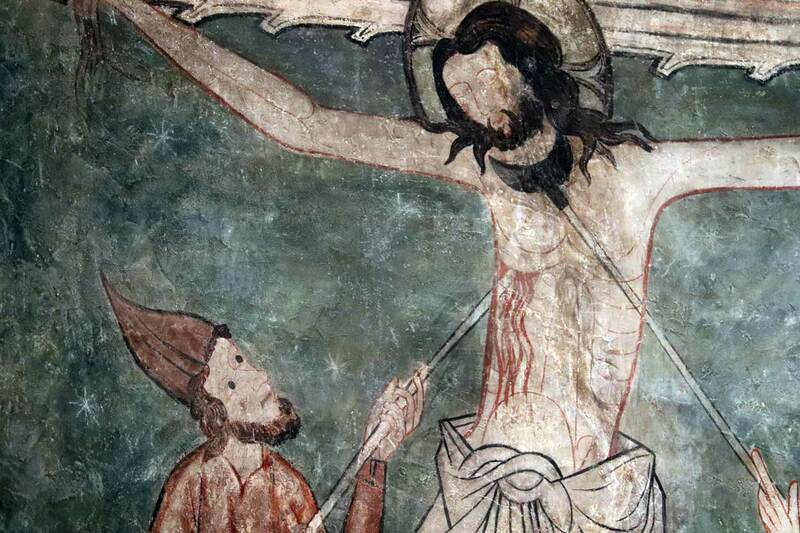 1- Longinus piercing Christ’s side with his lance. 2- The cauldron of Pedro Botero. 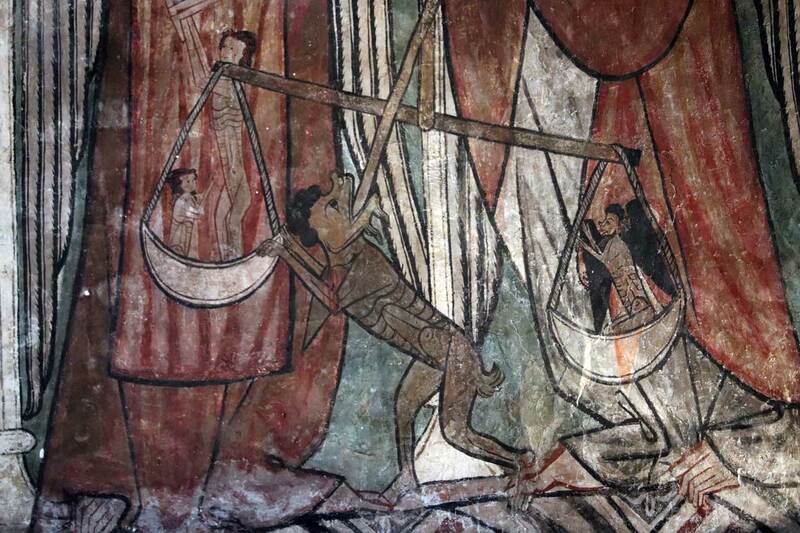 3- Detail of Saint Michael weighing souls. 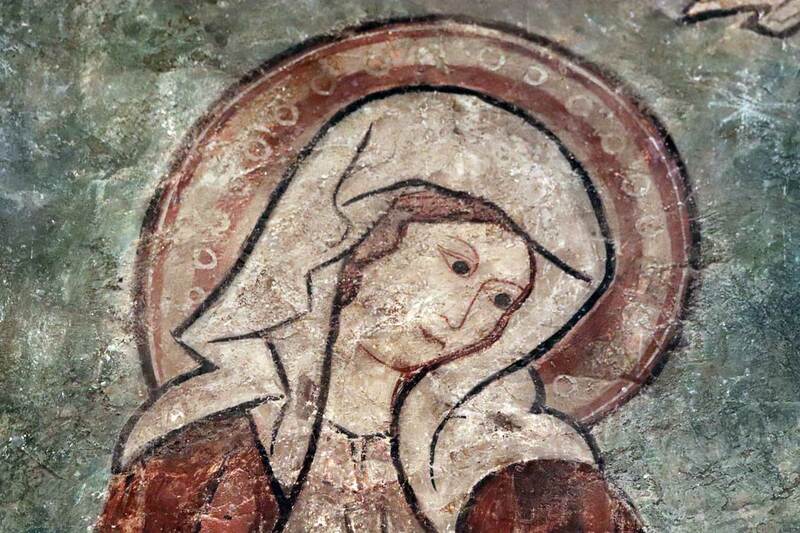 4- Virgin Mary’s Face.